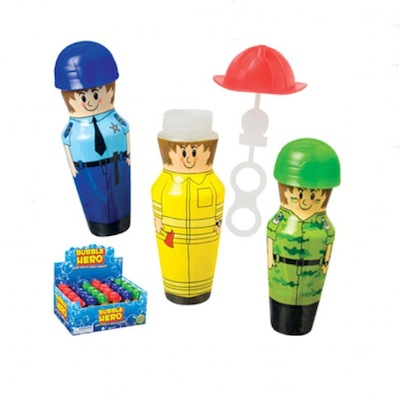 These fun bubbles are all dressed up in police, fire and army uniforms. They contain 2.4 ounces of bubble solution and wands. Price per bottle of bubbles.